Special Monthly Benefits - Elder Veterans Legal Aid Group, P.C. Special Monthly Benefits may be awarded to Veterans or surviving spouses in addition to basic Compensation or Pension benefits, if the claimant has been determined to be totally disabled by the VA (100%) and other certain conditions are met. These benefits are simply additional monetary awards and cannot be applied for exclusive of eligibility for Compensation or Pension benefits. Basically, Special Month Compensation or Pension benefits are additional funds that can be added to either basic Compensation or basic pension due to special circumstances. There are three conditions under which Special Monthly Compensation is payable to a Veteran for under three basic circumstances. · Anatomical Loss means loss of use of one hand, one foot, both buttocks, one or more creative organs, blindness of one eye having only light perception, deafness of both ears, having absence of air and bone conduction, complete organic aphonia with constant inability to communicate by speech or, in the case of a woman veteran, loss of 25% or more of tissue from a single breast or both breasts in combination (including loss by mastectomy or partial mastectomy), or following receipt of radiation treatment of breast tissue. This special compensation is payable in addition to the basic rate of compensation otherwise payable on the basis of degree of disability. · Housebound Special Benefits is an increased rate of Compensation payable to a Veteran who has a single service-connected disability rated as 100 percent and has additional service-connected disability or disabilities independently ratable at 60 percent, separate and distinct from the 100 percent service-connected disability and involving different anatomical segments or bodily systems; or Is permanently housebound by reason of service-connected disability or disabilities. This requirement is met when the veteran is substantially confined as a direct result of service-connected disabilities to his or her dwelling and the immediate premises or, if institutionalized, to the ward or clinical areas, and it is reasonably certain that the disability or disabilities and resultant confinement will continue throughout his or her lifetime. (38 U.S.C. § 1114(s)). · Aid and Attendance Special Benefits is an increased rate of Compensation paid by the VA when a Veteran rated at total disability (100%) is helpless or being so nearly helpless as to require the regular aid and attendance of another person solely because of their service-related disabilities. Other non-service-related disabilities that may exist may not be considered by the VA when establishing eligibility for Compensation-based Aid and Attendance benefits. 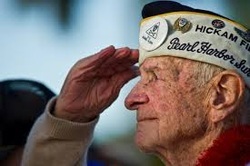 The veteran, spouse, surviving spouse or parent will be considered in need of regular aid and attendance if he or she: is blind or so nearly blind as to be considered legally blind under state or federal standards; Is a patient in a nursing home (note: VA considers assisted living communities to be equivalent to nursing homes under 38 C.F.R. § 3.1(z) if the claimant is receiving assistance with two or more basic activities of daily living) because of mental or physical incapacity; or inability of the claimant to dress or undress himself (herself), or to keep himself (herself) ordinarily clean and presentable; frequent need of adjustment of any special prosthetic or orthopedic appliances which by reason of the particular disability cannot be done without aid (this will not include the adjustment of appliances which normal persons would be unable to adjust without aid, such as supports, belts, lacing at the back, etc. ); inability of claimant to feed himself (herself) through loss of coordination of upper extremities or through extreme weakness; inability to attend to the wants of nature; or incapacity, physical or mental, which requires care or assistance on a regular basis to protect the claimant from hazards or dangers incident to his or her daily environment. Special Monthly Pension benefits are payable to a Veteran receiving basic Improved Pension for two reasons. · Housebound Special Pension Benefit is an increased rate of pension payable to a veteran who is entitled to pension and who is not in need of regular aid and attendance, if, in addition to having a single permanent disability rated 100 percent disabling (not including ratings based upon unemployability) the veteran: has additional disability or disabilities independently ratable at 60 percent or more, separate and distinct from the permanent disability rated as 100 percent disabling and involving different anatomical segments or bodily systems, or is “permanently housebound” by reason of disability or disabilities. This requirement is met when the veteran is substantially confined to his or her dwelling and the immediate premises or, if institutionalized, to the ward or clinical area, and it is reasonably certain that the disability or disabilities and resultant confinement will continue throughout his or her lifetime. 38 C.F.R. § 3.351(d). · Aid and Attendance Special Pension Benefit is an increased rate of Pension paid by the VA when a Veteran rated at total disability (100%) is so helpless or so nearly helpless as to require the regular aid and attendance of another person to safely execute their basic daily living activities due to any service or non-service connected disability. The veteran, spouse, surviving spouse or parent will be considered in need of regular aid and attendance if he or she: is blind or so nearly blind as to be considered legally blind under state or federal standards; Is a patient in a nursing home (note: VA considers assisted living communities to be equivalent to nursing homes under 38 C.F.R. § 3.1(z)) because of mental or physical incapacity; or inability of the claimant to dress or undress himself (herself), or to keep himself (herself) ordinarily clean and presentable; frequent need of adjustment of any special prosthetic or orthopedic appliances which by reason of the particular disability cannot be done without aid (this will not include the adjustment of appliances which normal persons would be unable to adjust without aid, such as supports, belts, lacing at the back, etc. ); inability of claimant to feed himself (herself) through loss of coordination of upper extremities or through extreme weakness; inability to attend to the wants of nature; or incapacity, physical or mental, which requires care or assistance on a regular basis to protect the claimant from hazards or dangers incident to his or her daily environment. (38 C.F.R § 3.352). Nothing contained on this site should be construed as an offer of legal services or offer to represent before the Department of Veterans Affairs. The information contained herein is presented for educational purposes only. Inquiries concerning our legal services should be made to our offices at 1-800-878-2149. The individuals pictured on this site are not actual clients of EVLAG. Elder Veterans legal Aid Group, P.C. is the law firm of James J. Ramsey, Esq. Mr. Ramsey is licensed to practice law by the Supreme Court of the State of Tennessee and holds accreditation from the General Counsel of the Department of Veterans Affairs. Our mailing address is 2817 West End Ave., Suite 160-278, Nashville, Tennessee 37203. Our main telephone number is 615-800-8947.